Sunscreen chemicals are highly toxic and extremely damaging to human health and the environment. 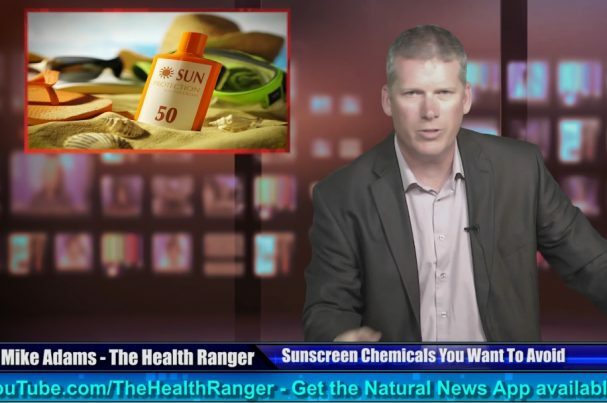 In this video, I cover some of the most toxic sunscreen ingredients that you’ll find in nearly all the popular sunscreen products sold everywhere. Many of these chemicals cause cancer or hormone disruption. In addition to harming your health, these toxic chemicals are also destroying coral reefs and poisoning ocean ecosystems. In fact, some of the damage to marine life currently being blamed on global warming is actually caused by toxic sunscreen chemicals. This doesn’t even count the artificial fragrance chemicals added to sunscreen products, which are toxic far and beyond the toxicity of the other chemicals used in sunscreen products. What’s truly astonishing is how people think using these toxic chemicals on their skin is somehow preventing cancer. In truth, it’s giving them cancer from chemical exposure. Instead of just skin cancer from UV exposure, it can give them brain cancer, liver cancer, kidney cancer or even myeloma.